Everpure MC-2 EV9612-56 Cartridge Features: The Everpure MC-2 delivers premium quality water for fountain and combination applications. The Everpure MC-2 is a sanitary quick change cartridge which is easy to install and replace. Internal filter parts are never exposed to handling or contamination. The Everpure MC-2 features Micro-Pure II media with AgION antimicrobial protection which inhibits any potential bacterial growth. The Everpure MC-2 beverage filter reduces chlorine taste and odor and other offensive contaminants that can adversely affect the taste of beverages. The Everpure MC2 improves the taste of fountain beverages and helps retain the drink's carbonation. Precoat submicron technology reduces extra fine dirt and particles as small as 1/2 micron in size. Reduces possible health contaminants such as asbestos fibers and cryptosporidium and giardia cysts. Protects drink system seals, pump, tubing and small orifices from clogging, corrosion and abrasive wear. NSF Certified under NSF/ANSI Standards 42 and 53. 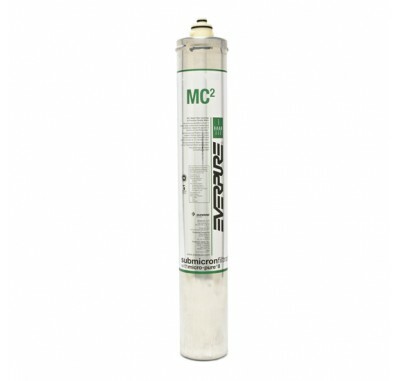 Replaces the Everpure MC EV9612-06 Water Filter Cartridge. 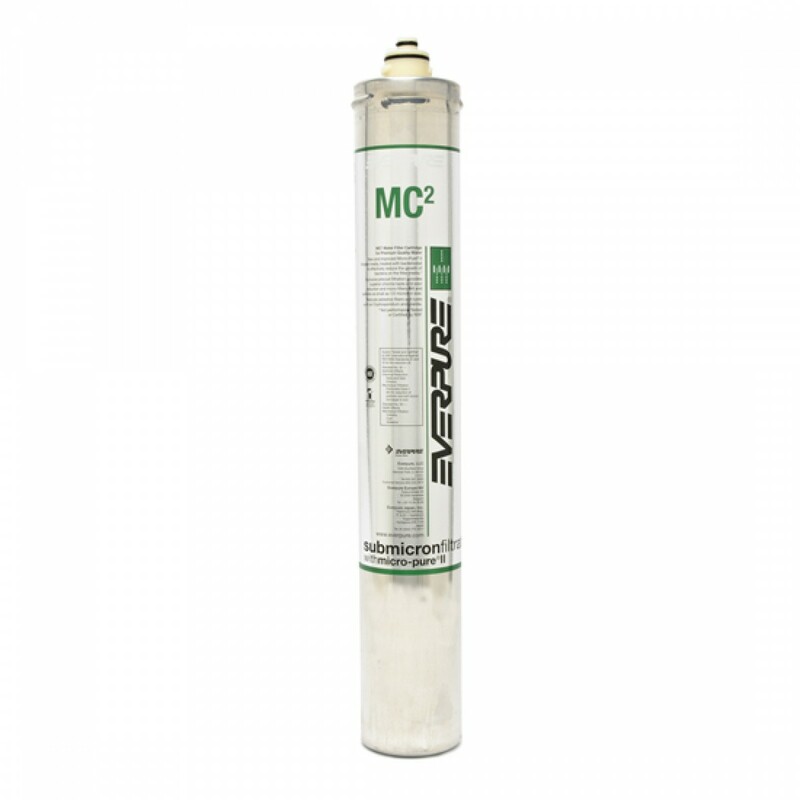 Replace the Everpure MC-2 Filter Cartridge every 9,000 gallons.